There's no shortage of barbers & stylists aprons. 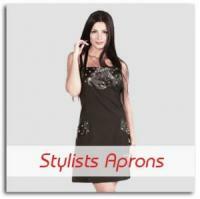 There are many to choose from, but not all aprons are created equal. 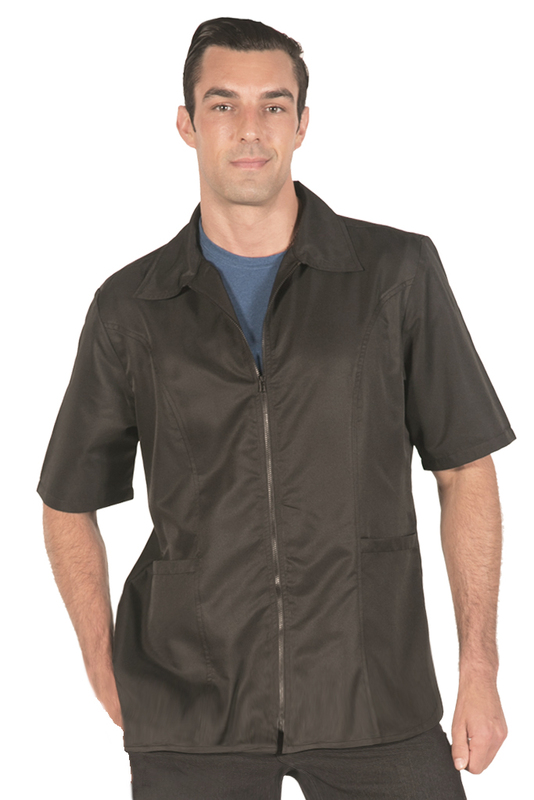 For the most part, the industry churns out one-size-fits-all aprons that are plain enough to work in a wide variety of settings, and fit nearly every stylist, whether male or female, no matter what their size. It's undeniable that aprons are a must in the salon, but does that mean that you have to be stuck wearing an ugly apron that makes you feel boring, dull, and unprofessional? At Ladybird Line, we don't think so. 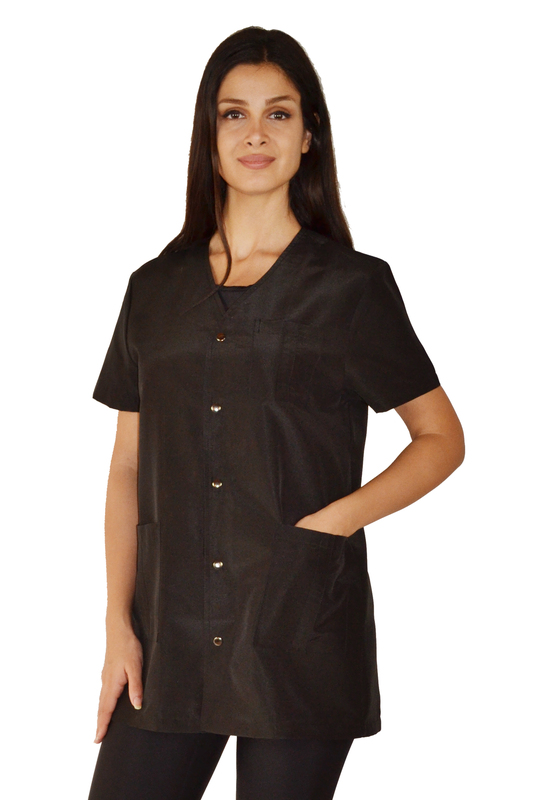 We create custom aprons, smocks, and more just for the salon that are made to be as beautiful as they are durable. 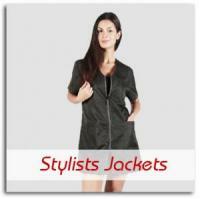 No matter what your personal style, we have something that will make you feel stylish and professional. Within in each style category, there are many different patterns and designs to choose from. 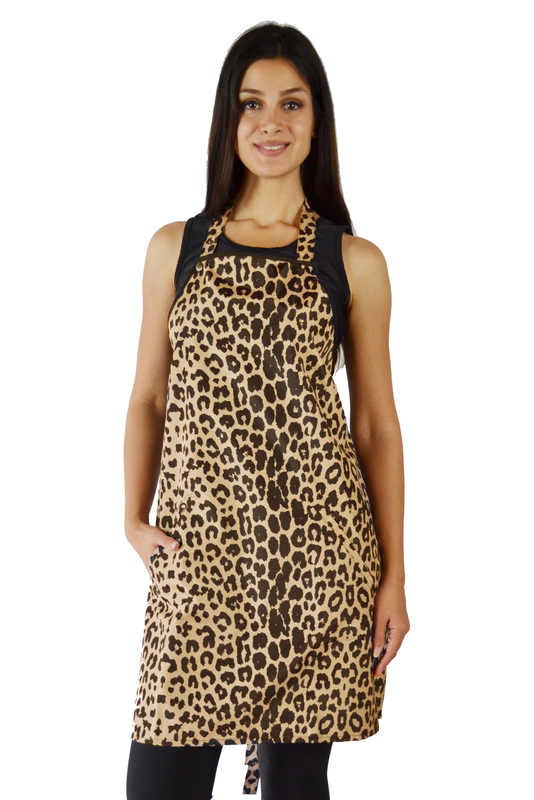 If you're looking for a silhouette that is a bit more feminine, check out our line of adjustable aprons. 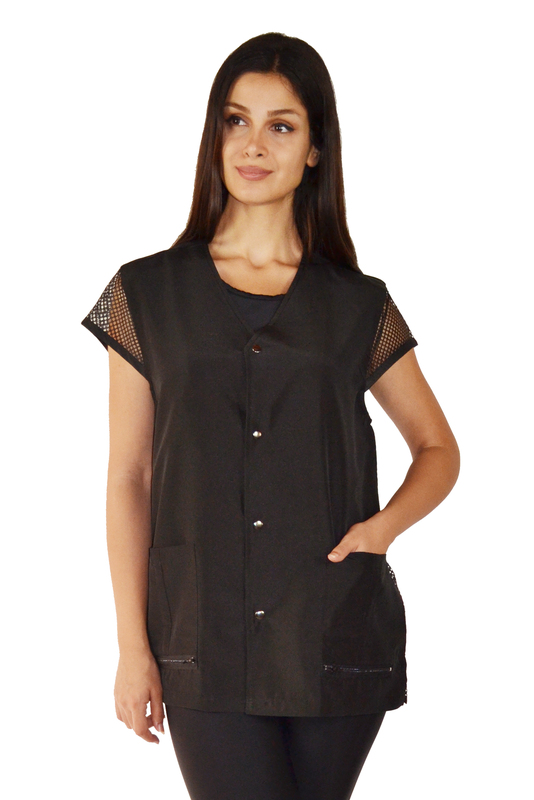 The flirtiest design is definitely our black vintage dress apron because it looks more like a dress than salon apparel. If you're looking for a little bling, check out our pro salon rhinestone apron that is enhanced with rhinestones. 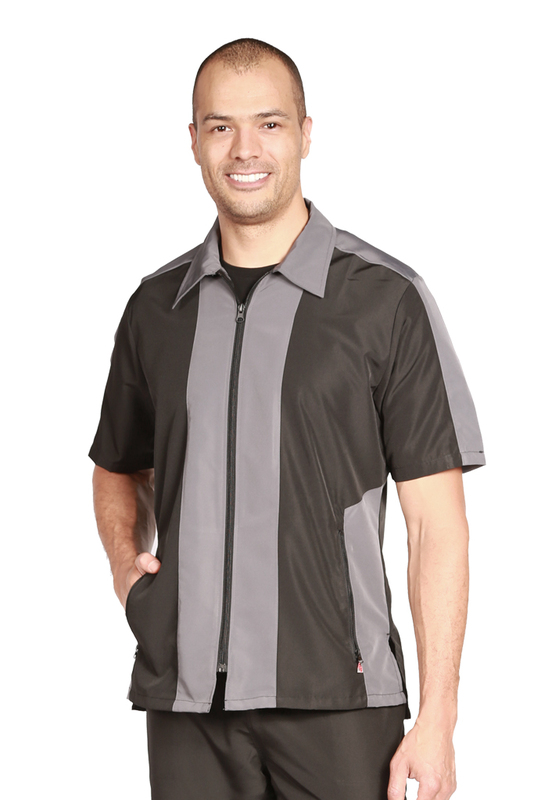 We offer many style choices for men too! We even have a funky studded apron that was created specifically for makeup artists that can easily be worn by both men and women. 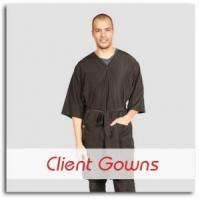 In order to do your very best, you need a stylish and comfortable apron, but what about your clients? 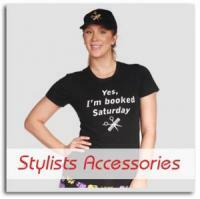 They deserve apparel that's more fun than that plain old black smock that is so common in most salons. 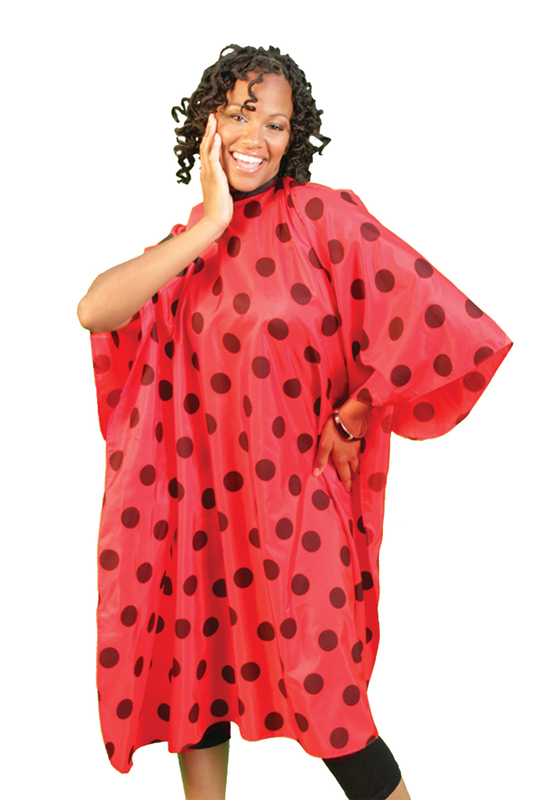 Ladybird Line designs fun client gowns and shampoo capes too! Not only will our unexpected designs bring a smile to your clients' face, they also establish your uniqueness, ultimately encouraging clients to return to your chair time and time again. What makes our gowns and capes so unique? 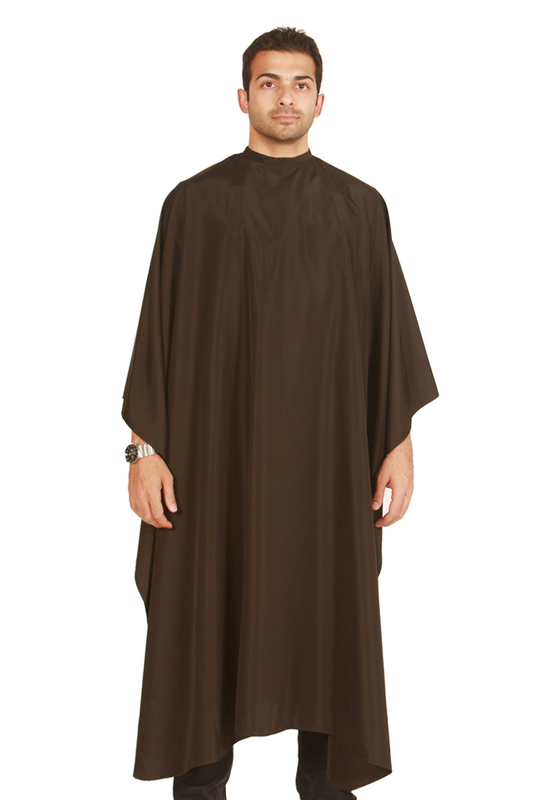 First, we offer capes in fun colors like olive green, sunshine yellow, and orange. 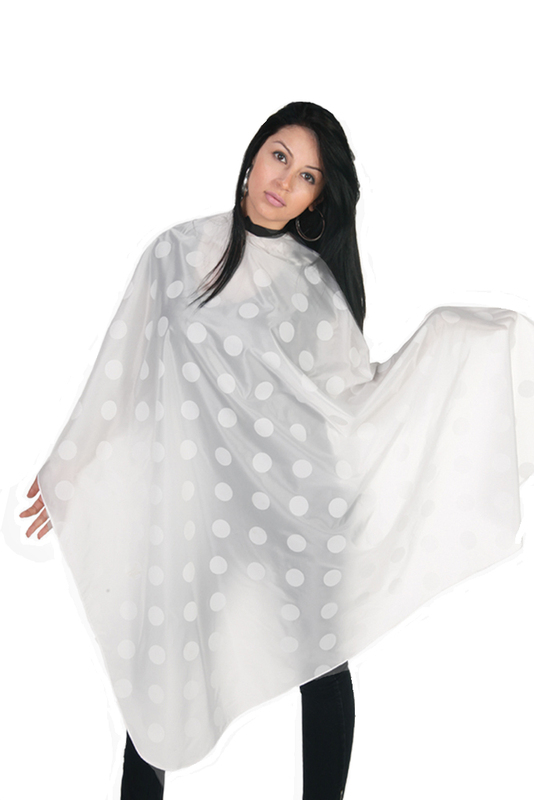 You can even choose from fun polka dotted patterns. 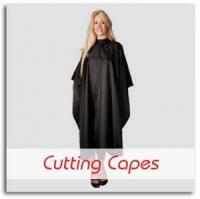 If you really want to surprise your clients, choose one of our media window capes. They contain a convenient clear plastic panel that allows them to return text messages and browse the internet while they're getting their hair done! Because Ladybird Line has been creating barbers & stylists aprons for over 20 years, we understand how important it is to provide a high level of customer service, which means creating products that can be completely customized. Nearly every item in our line can be customized by you with names, logos, and more. We happily accept bulk orders and we can even provide you with professional advice on which aprons would be best for your salon. Contact us today and we'd be happy to answer all of your questions.